In the mentoring I do with clients and students, in the individual iRest® Yoga Nidra Dyad sessions I do and in the counseling I offer to friends and family members when they need someone to help keep them propped up and motivated, I have found myself coming to the same realization over and over again: people are either paralyzingly terrified that things will inevitably go awry and they will suffer, or they believe that everything will always work out, regardless of the ups and downs along the way. Both my father and I share the core belief that things will always be ok, and that belief has served us well, and continues to do so. When I work with imagery in individual session with clients, that imagery, in 9 out of 10 cases, always comes down to the same thing: there is a mass of light and a mass of dark, literally an entity of dark blackness and one of illuminated whiteness. Those that are truly suffering believe that the darkness is stronger than the light. The rest believe that the light is stronger. What you believe will become. We are either living under the weight of heavy darkness threatening our ease and well-bring, or we are channeling light. We are either reacting to every possible threat and marker that has the potential to reinforce our fears or we are keeping our gaze lifted, hurtling over small bumps in the road instead of stopping and quaking in fear at each individual potential obstacle. The survival issues that are referred to in The Anatomy of the Spirit are at the heart of every single one of our core beliefs. If our foundation is one of faith, believing on a heart, soul and gut level that there are forces greater than us at work and that every single thing that happens to and around us in this life is intentionally being brought to us as a messenger to learn from or to teach to others, then there is light. We live in it and it keeps us going, especially in moments of darkness that have the potential to bring us to our knees. If our foundation is one of fear, living our daily lives looking over our shoulders with apprehension as to what might not go according to plan and take away whatever happiness we have, then we are literally living hell on earth, constantly getting beaten down by the fear that we are not capable enough and don’t have what it takes to survive in the world today. It’s the difference between feeling self-worth and feeling worthless. It’s the difference between being able to handle whatever life brings to our doorstep with discriminative wisdom and faith that we will land on our feet, closer to light, even if the moment itself feels dark, versus walking around with the shadow fear of not being good or capable enough and believing that we’re cursed and constantly being threatened by that curse. What do you believe, at the core of your being? Do you believe that everything happens as it should to bring us closer to discovering who and what we are? Do you believe that we are meant to learn, and in some instances, teach from the moments that we come face to face with, that also have the potential to stop us dead in our tracks? Or do you believe that life is just a series of events that are meant to be suffered through, and only the strongest of the strong emerge? Is everything random and some of us get more of the dark than we should have to deal with, or will every moment bring us where we need to go, even if it’s not where we would have chosen to? 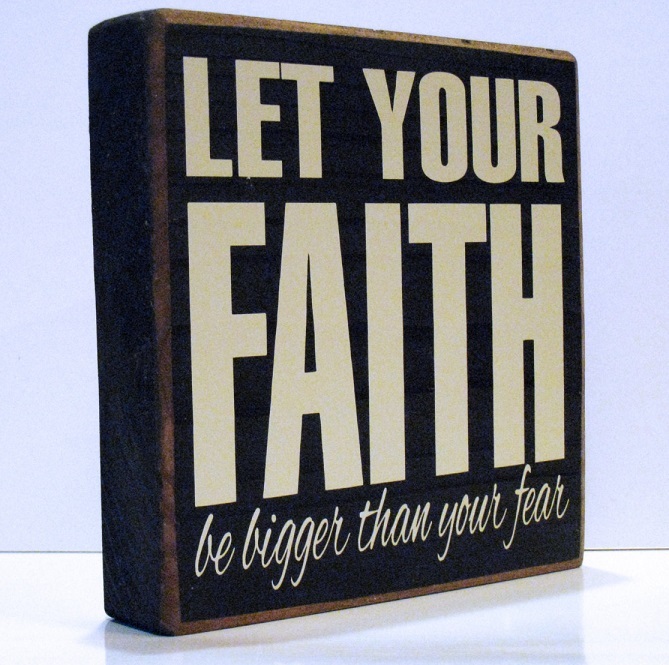 On a fundamental level, do you have more faith than fear, or vice versa? And how is that answer dictating every single second of your life? I do believe that everything happens for a reason and that we are supposed to learn from both good and bad. Great article. Enjoyed reading through this, very good stuff, and thank you for sharing such a valuable information.